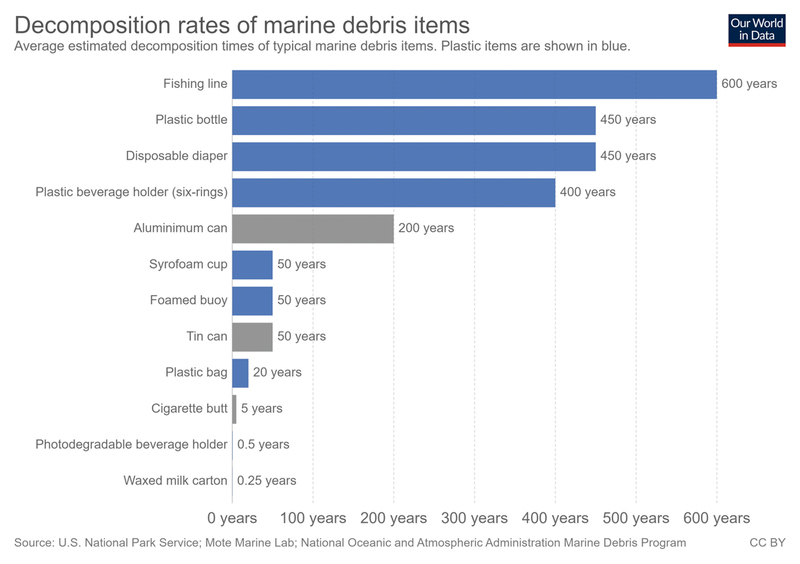 WHY IS SINGLE-USE PLASTIC CAUSING SUCH A PROBLEM TO THE MARINE ENVIRONMENT TODAY & FOR THE FUTURE? My name is Terry Smith and I am not a scientist. I grew up in the town of Dunedin, New Zealand, a quiet town with a small population. Located on the coast, I was surfing the Southern Ocean waters, which created a love for the ocean. Through my roles in the tourism industry, I travelled and learnt to scuba dive. It was amazing, I was hooked, so much so I become a Dive Instructor. That was 15 years ago, and I still love the ocean. I try to spend as much time as possible in it or at least near it. Over the years I have travelled and worked in beautiful places with wonderous marine life, but something that has been bugging me for a while is the amount of plastic waste you see on every Scuba Dive. In Sydney, my BCD pockets would be full after every dive, with wrappers and of course, in some shape or form, plastic bottles. This is a major city with a kerbside recycling waste program in place. Travelling to remote destinations and islands, this underwater litter increases. 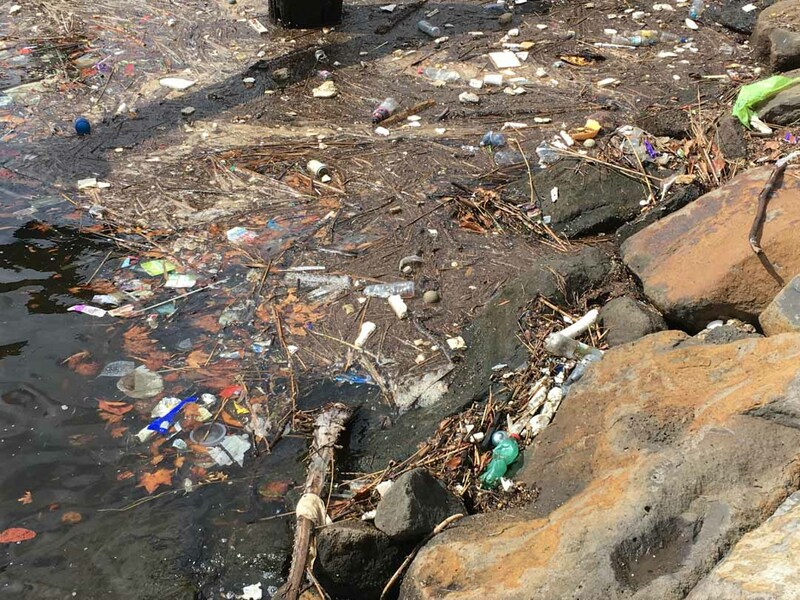 I am hoping to create awareness in these series of articles as most of us do not know where or how plastic is created, what is actually happening out there now, and what we can do to on a personal, national and international level, as this is becoming a larger issue for the planet, and all living here, great & small. I hope these articles help you in some way or form. I will do a series of articles on plastics, in the hope to create more understanding, awareness of our use, and more importantly ways to reduce & recycle. In the first article (Part One), what is plastic, the make-up, types and uses? The second article (Part Two) is about recycling, what you, countries, and companies are doing currently. And the third article (Part Three) is about what steps are needed, what’s in the pipeline, by companies, countries and what you the individual can do to reduce this problem. And how we can protect our future environment. Look around you. If you are sitting at a desk chance is that there are a pen, telephone and some sort of cable. If you’re in a coffee shop, can you see a person with a single use coffee cup? Or in any location, I’m sure you can see at least one item which has a component of plastic in it. What about your food packaging? Think about your last supermarket shop. Did you have your own bag? Was a vegetable item or items in plastic wrap? Did you use a plastic bag to put your tomatoes in? And perhaps the commonest item to be seen under or on the water, did you buy liquid (water, milk, soda etc) in a plastic bottle? The unfortunate thing is now plastic has become such a part of our society, we don’t really know how to survive without it. WHY DO WE USE PLASTIC? Convenience for the consumer, you, and for the manufacturer. Items are preserved/ protected in a simple, clean, lightweight and easy to transport form. Plastic has crept into everyday use through single-use items, milk containers etc. Glass was too heavy, easy to break and hard to transport. So we became a society all about convenience and don’t really give a damn about what happens afterwards to those items. Some of us recycle and try to do the right thing others will just throw it in a bin not caring any further. We all trust that what goes in the bin whether it been normal waste or recycling, is then disposed of properly. (Part Two covers recycling). IS PLASTIC ALL THE SAME? Plastic is not all the same. Hard, soft, flexible, UV resistant, food grade and so on. If we use the example of your shopping, there are so many types. The cling wrap on vegetables is different from the milk container. Each has been designed to offer certain characteristics to suit a different use. So, how is plastic made or composition, and what are the different types? Plastic is actually made from organic products. Most are derived from petrochemicals including natural gas, oil and coal. 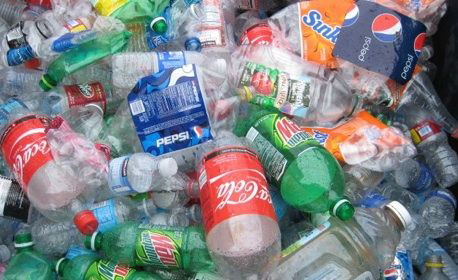 More than 17 million barrels of oil are used to produce plastic water bottles consumed in the United States each year. Without going into its specific scientific detail, the process is polymerization, then from there” cracked” from larger molecules into smaller ones. From this base polymer, chemical additives can be mixed in to improve certain characteristics. Like flame retardants, lubricants, flexibility, pigments and UV resistance. So no longer “organic”. From here there are seven types of plastic. In 1953, Karl Ziegler & Erhard Holzkamp used catalysts and low pressure to create high-density polyethylene. It was first used for pipes in storm sewers, drains, and culverts. HDPE is a harder plastic with a higher melting point than LDPE. HDPE was first introduced in the hula hoop, but today it's mostly used in containers. Uses can be trash bags, most single-use grocery bags (lightweight and strong composition), containers – oil, detergent, chemicals, toys, shampoos & soap bottles (but not solvents). PVC is one of the oldest synthetic materials in industrial production. It was actually discovered by accident twice; once in 1838 by French physicist Henri Victor Regnault and again in 1872 by German chemist Eugen Baumann. On both occasions, these men found it inside vinyl chloride flasks left exposed to sunlight. In 1948 was the introduction of 12” long playing records made from polyvinyl chloride (PVC). Today uses can be plumbing, piping, guttering, sewage pipes, window frames, tiles & cling films. (Nearly 57% of PVC is chlorine, requiring less petroleum than other plastics). It was the first polyethylene to be produced, making it the godfather of the material. 1945 - The production of LDPE with the Squeezy bottle by Monsanto, caused a rapid expansion of the industry, with containers produced to replace glass bottles for shampoos and liquid soaps. In 1949 - Launch in US of Tupperware made from low-density polyethylene, and the big one, in the 1950s - the polyethylene bag makes its first appearance. Today uses range from cling wrap, sandwich bags, squeezable condiment bottles, flexible container lids and the customised boutique bags for most high-end shops. (They use thicker plastic for the bags). Paul Hogan and Robert L. Banks of Phillips Petroleum Company discovered polypropylene in 1951. At the time, they were simply trying to convert propylene into gasoline, but instead discovered a new catalytic process for making plastic. Uses include plastic diapers, Tupperware, kitchenware, margarine tubs, yoghurt containers, prescription bottles, stadium cups, bottle caps, takeaway containers, and disposable cups/ plates. Can also be found in adventure wear. Many biodegradable, photo-sensitive, and plant-based plastics fit in this category. Basically, any plastic that is not HDPE, LDPE, PET, PVC, PS or PP are put into this category. The remaining plastics include polycarbonate, polylactide, acrylic, acrylonitrile butadiene, styrene, fibreglass, and nylon. Of course, there are many differences in the plastics classified as miscellaneous by recycling programs because of the additives. One of these additives is BPA - Bisphenol A, which is a chemical to make polycarbonate and found in many hard plastics that we use every day like water bottles, which is used as a lining inside, to protect food and prolong shelf life. Higher doses have been linked to infertility and other health problems, although some reports say that current levels of BPA are low and not a danger to humans. (Although this is very debatable) If a plastic container is listed as microwave safe or unbreakable it tends to have the BPA in it. Uses include Plastic DVD’s & CD’s, baby bottles medical storage containers, eyeglasses, lighting fixtures. The building blocks of plastic are a great concern. 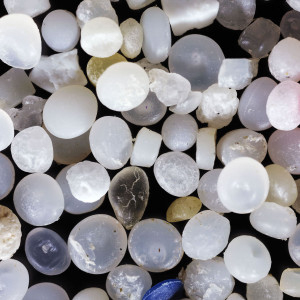 So, after the process, most plastics start out as “Nurdles” or can be called “mermaid tears”. These are the raw material, the small pellets, normally 1-5mm in size and are classed as a primary microplastic alongside the microbeads used in cosmetic products. They are small on purpose as they make it easy to transport which is then melted down and moulded into different plastic forms. Unfortunately, this raw material is so small it ends up in waterways through mismanagement. This mismanagement leads to billions of these pellets floating in the ocean. Not only are they a great looking food source for animals (small colourful objects) they collect harmful toxins. The large surface area to ratio and polymer composition allows persistent organic pollutants (POP’s) in seawater to build upon their surfaces. These toxins can remain on the nurdles for years. These are not only harmful to animals but us as well, so through the food chain we end up consuming them. (This will be discussed further in Part Three). IS THE PLASTIC INDUSTRY BIG? Yes, that’s why it’s had to see change. The manufacture of these plastic products is worldwide, with companies not only producing products for their domestic market but also for the international market. The revenues generated are huge, the plastic industry is big business. The USA plastics Industry was $418 billion in 2015 and in Australia, the top five manufacturers alone contributed $15 billion in revenue, in 2016. In the state of Teas USA, the largest manufacturing state for plastics employed 76,700 in 2016. 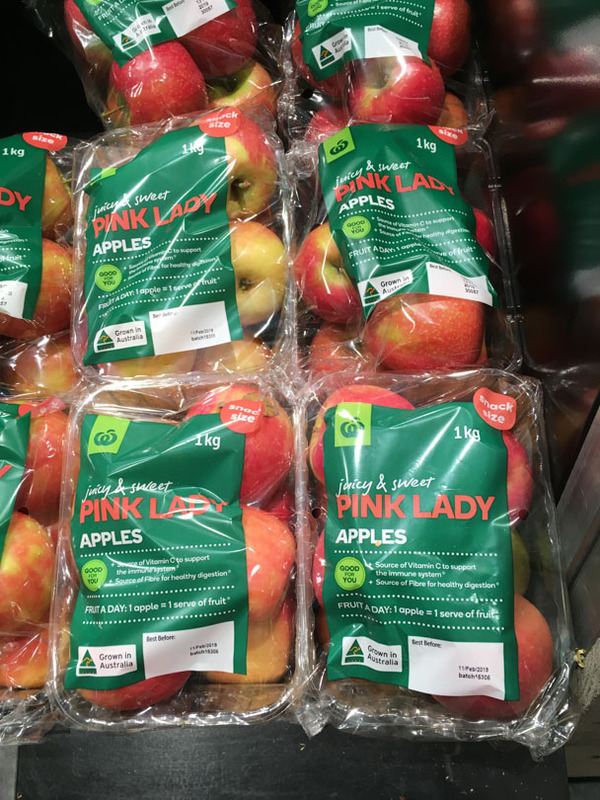 The state of Victoria, Australia, had over 28,000 people employed in the plastic manufacturing industry that same year. But the biggest producer of plastic is China with an industry amounting to RMB59,951(billion) in 2016, (around 890 Billion USD). Keep these figures in mind as you go through the articles. HOW TO IDENTIFY TYPES OF PLASTIC? As you can see everyday products don’t always fit into just one type of plastic. So how do you tell which is which? In 1988, the Society of the Plastics Industry (SPI), now Plastics Industry Association, first launched the number coding system in the United States. The system was introduced to Australia in 1990. Every plastic should have the triangle with the “chasing arrows”. Every plastic manufacturer around the world should state on every plastic produced, this number and arrow system. However, this does not mean it’s recyclable, it’s the little number inside which tells the real story. This brings me to recycling. SIGN UP FOR THE NEWSLETTER ALERT HERE! Note: the products below are not meant to be "for profit" they are there to give you an option, the price is cost.